I dig short stories. So whenever the opportunity to read a collection comes up, I grab it. It is more inviting, it the stories are by the same author as the reader gets a taste of various moods of the same mind. 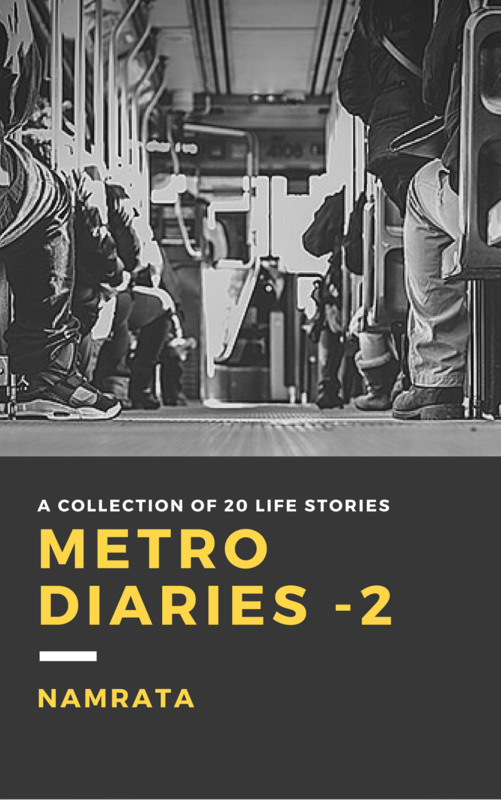 In Metro Diaries – 2, which is the second part of the series as the name suggests, author Namrata has put together twenty short stories that revolve around life. 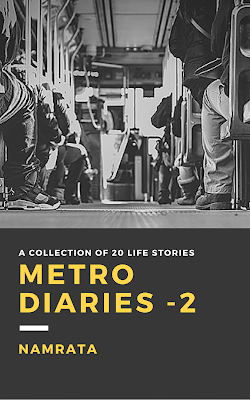 From the stories it is evident that Namrata is a keen observer and I strongly believe that to be a good fiction writer, one needs to be a strong observer. Your writing skills pay part in the process much later. How minutely you observe things decide how you format your fiction, as what is fiction but a slice of real life! The stories which specifically caught my attention are Charlatan and The Pawn, though I must admit, each story had a distinct flavour of its own and managed to stay so. Each story has something to take from – be it the experience of chancing upon a sudden twist in the plot in Charlatan, or The Last Kiss where a story so sad that it engulfs you but you smile at the end of it, thinking how amazing a job the author has done.